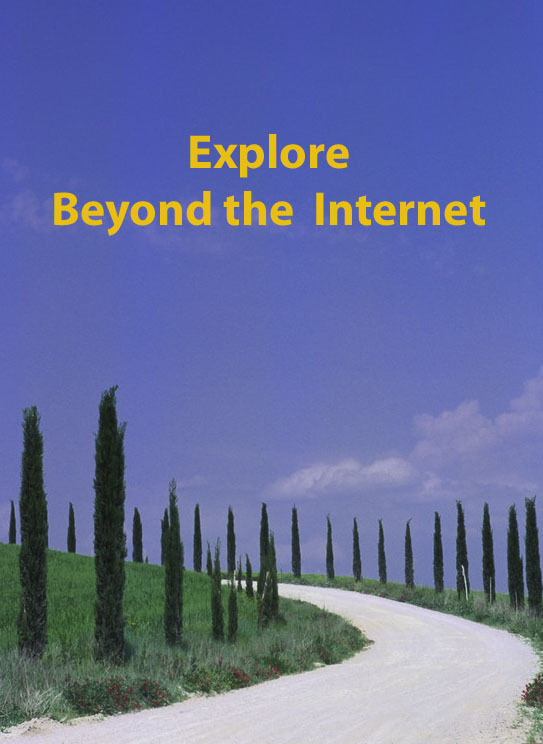 This is Week 14 in my Beyond the Internet series in which I explore the sources of information beyond our computer screens. This week’s topic is War Diaries, shipping and photos. I’d love it if you wanted to join in with your thoughts on this topic, especially if you live overseas and have a different set of records to tell us about. If possible please provide a link to your post on this page. This week’s topic is going to be a bit of “dollar each way” because I realise that many of these records are now available online. And yes, it beats having to schedule a trip to the Australian War Memorial in Canberra, with all the associated expense, to read the documents themselves..but not always as much fun. Still and all, I suspect war diaries are not something that many people use in their family history, so I’m sitting on the virtual fence with this one. The men of the 40th walking 40 miles to Serapeum on the Suez Canal carrying full kits, packs and ammunition but limited water, in 110C heat. The men of the 49th referring to their colour patch as the “soccer ball” because they were moved so often. Arrival of additional troops in the field may not mention names but when put with your family member’s service records you can see whether it was a big intake or only a few men. Men going on leave may be mentioned. Men injured or killed, usually only deaths of officers, otherwise numbers only. Descriptions of the clothes issued to the men (sheepskin jackets, leather waistcoats, thigh-high gumboots). The dispersal of companies across the battle field together with their list of responsibilities. The Railway Operating Division’s nickname of “Right Out of Danger”. I’ve talked about their responsibilities here. How the men spent Christmas, received special food treats, and their behind-the-lines activities. Little asides about how the men dealt with being required to sleep on the ground under canvas while there were empty huts nearby. If you’ve not yet used the war diaries of the AWM either virtually or in situ, I hope I’ve convinced you that there’s plenty there that will reveal the story of your family member’s service. Of course this refers to the official war diaries for each unit, perhaps your ancestor left a personal diary or perhaps one of his fellow servicemen did. Just imagine what you might learn from those. Another rich source is the files on the ship transportation of the men to/from foreign service. The men were probably well enough informed about the world (after all in those days schooling focused on the Empire’s history, not Australia’s) but it’s hard to believe they wouldn’t have been amazed by the sights they saw or the opportunity to go dancing or for picnics and motor trips in Capetown. On the way overseas the CO for the men on the Port Sydney[i] commended them for their excellent behaviour while on two days leave in Colombo. On the voyage over they also learned additional military skills but they also had a “fine brass band”, an orchestra and several concert parties. My grandfather returned to Australia on the Karmala[ii] in 1919 and the files report they had an orchestra, daily sports, chess, bridge and drafts competitions as well as a daily newspaper, the Karmala Kuts. J06286 AWM out of copyright. 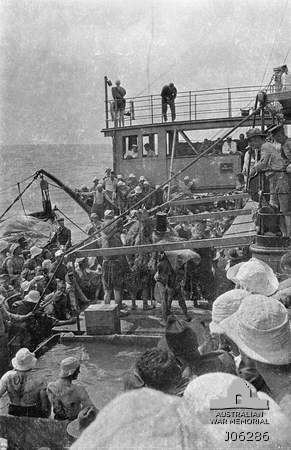 Crossing the line on board Port Sydney November 1917. This is another fence-sitter as many of these have been digitised, however they’re probably worth mentioning here. Things to look for: names of people, ships to/from field, battle areas. I was lucky that there was an amateur photographer on board the Port Sydney with my grandfather so I have photos of the Crossing the Line[iii] ceremony on that voyage. There are also quite a lot of my husband’s great-uncle. The photos of Milne Bay or Norieul are certainly much better now in digital form than the old thermal printed ones I got back years ago! 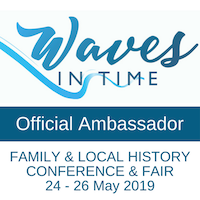 I hope I’ve managed to convince you that there’s lots out there which can enrich your family’s wartime stories, whether in digital or non-digital form. [i] AWM 7, Port Sydney . This now appears to be item 528138. Not yet digitised. [ii] AWM 31, Karmala 306. This now appears to be item 514921. Not yet digitised. Australia Day 2012: Wealth for toil on the railway? 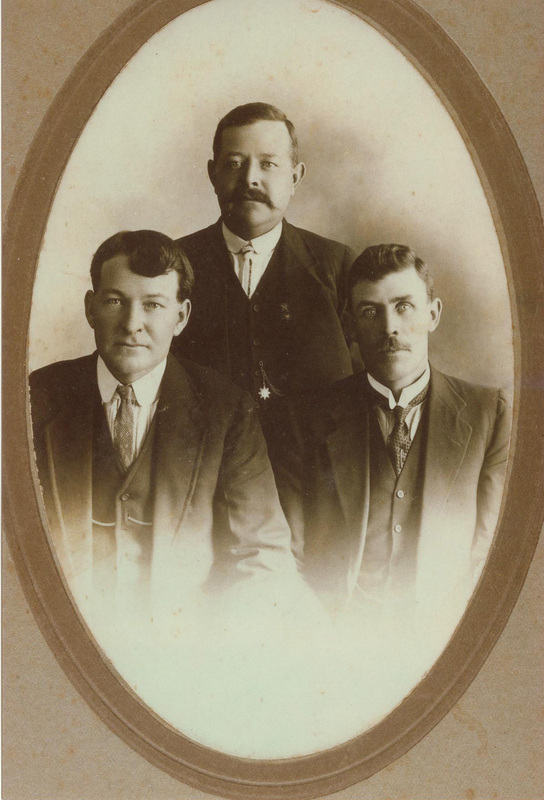 Denis Joseph Kunkel (Centre) with his brother James Edward (left) and an unknown friend or relation (right) c1917. 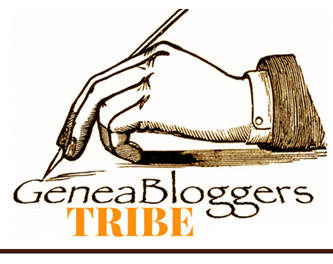 Shelley from Twigs of Yore has again initiated an Australia Day blogging theme. In 2012 the focus is “wealth for toil” drawing on the words of our national anthem, Advance Australia Fair. 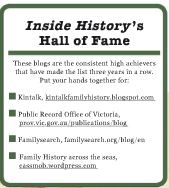 Our challenge is to choose an Aussie ancestor and relate how they toiled. There were several alternative approaches but I chose to tell the story of my grandfather’s occupation as a railway worker both in times of peace and at war. Is wealth for toil meant to signify the wealth generation workers create or does it mean they will gain “wealth”? Many years ago, long before the advent of Ipswich’s wonderful Railway Workshops Museum, I visited a dusty, daggy old office where I was permitted to trawl through equally dusty drawers and boxes of old index cards. These were the records for some of Queensland’s railway workers. Although I’ve since searched similar records at Queensland State Archives, I don’t believe they hold the same cards. 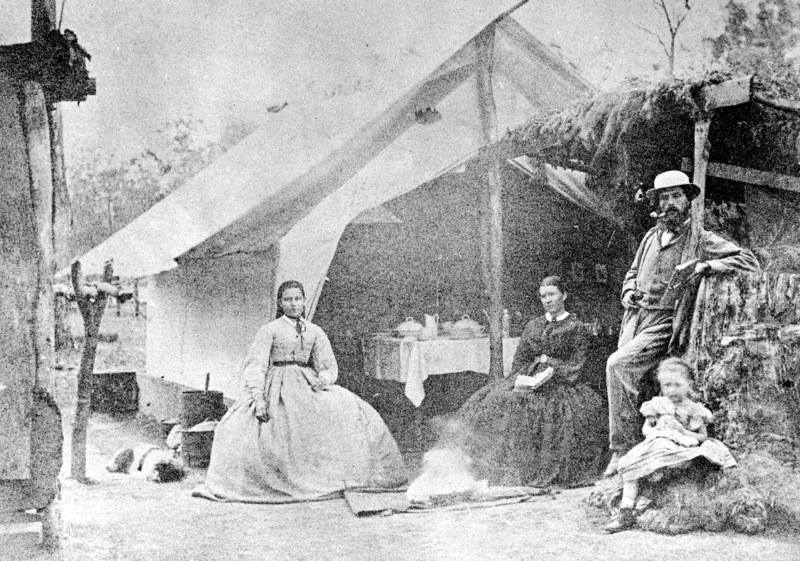 This old image is thought to be Fountain’s (railway) Camp near Murphys Creek. One of the cards I found all those years ago was my grandfather’s service history. Denis Joseph Kunkel came from a railway family, indeed he was born in a railway camp at the Forty Mile near Dalby. He might be said to have had iron tracks running through his bloodstream and the rattle of the trains in his ears: his grandfather worked on the Ipswich-Toowoomba line around its construction, his father worked on various lines on the Downs and near Jimboomba, while his mother also had jobs as a railway carriage cleaner and gatekeeper[i]. Denis joined the railway as a young lad and is first listed as a 19 year old lad porter at Central Station in Brisbane in 1900, earning a daily pay of 1 shilling and 8 pence (about 18 cents!). Wealth for toil…it appears not! It’s likely Denis had been out working well before this but I’ve found no record of what he did or where. Denis was the eldest child of George and Julia Kunkel both of whom died in late 1901, and his move back to Grantham in 1902 was probably precipitated by the need to be involved in some way with his younger siblings. Even though he was still a lad porter, his pay increased to 5 shillings a day. Was this in any way related to his being the eldest and needing to provide some financial support to his younger siblings? My father always said that Dinny supported them financially though there are no anecdotes on this in other branches. 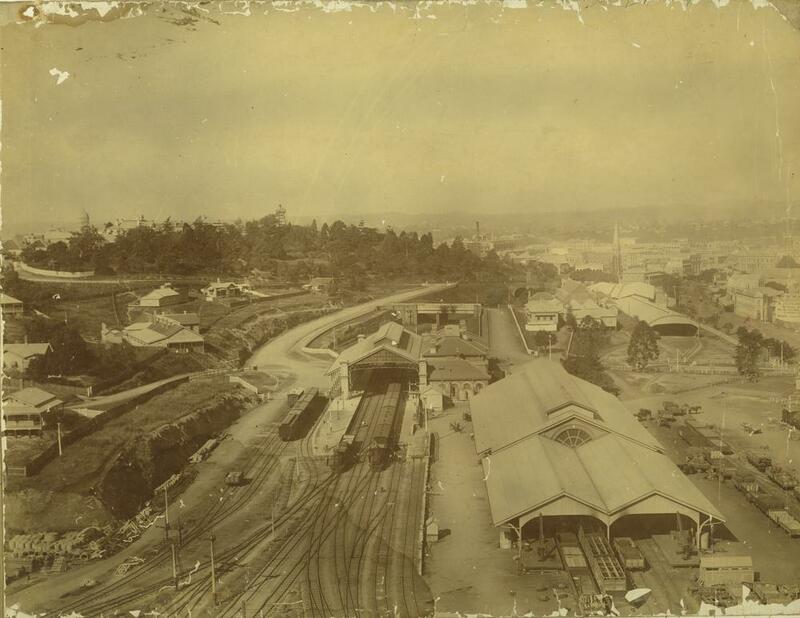 Roma Street railway yards c1897. John Oxley LIbrary Image number: APO-023-0001-0001 Copyright expired. Denis worked his way through the standard railway progression from lad porter to porter then to shunter, the most dangerous job in the railways with a tremendously high injury rate. However shunting was a necessary stepping stone on the way to becoming a guard. As he worked these jobs he followed the opportunities from Maryborough to Roma Street then to Ipswich and Gympie before finally buying his block of land in Brisbane (see this post). The old timber storage box in which he carried his belongings as he moved from one posting to another is a fixture in my mother’s house. In his early working days he was involved with the unions and thanks to Trove I now know he was secretary to the Railway Employees Association in 1909 and was the Traffic Employees’ scrutineer in the election of members for the Railway Appeals Board. He attended the Federated Railway Transport and Traffic Employees conference in Brisbane in 1909 after which he was one of a deputation of 5 men to present “certain requests” to the Traffic Manager. He attended the Federated Railway Transport and Traffic Employees conference in Brisbane in 1909 after which he was one of a deputation of 5 men to present “certain requests” to the Traffic Manager (ii). Wealth for toil….every step negotiated with “management” and dependent on the strength of your union. Railway workers were in a reserved occupation during World War II and as yet I’m uncertain as to whether this was the case in World War I. Either way my grandfather didn’t rush to enlist even though two of his younger brothers and several cousins had already volunteered. Two cousins had already paid the ultimate price on the Western Front. 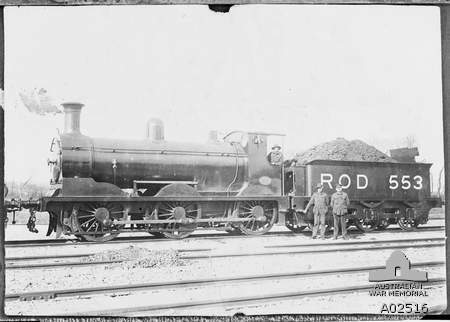 It was only in 1917 when the Army called for men with railway expertise that he enlisted with the AIF in the 59th (and later 5th) Australian Broad Gauge Railway Operating Company (ABGROC). As the battles raged on the Western Front, experienced men were needed who could operate the railway infrastructure so vitally important to the movement of men, fuel and supplies. A Railway Operating Division (ROD) train at Couchil-le-Temple 1918: precisely where my grandfather was stationed at the time. AWM Image AO2516 copyright expired. As their train steamed south to meet the troop carriers, Denis passed through Murphys Creek where his grandfather had worked on the railway and where his grandmother still lived. His young cousin, Anne Kunkel, remembered seeing these khaki clad men going off to war. Did his grandmother also come down to the station from the Fifteen Mile to see him while the steam train took on water for the steep climb up the range? A newspaper report specifically mentions that he and his brother Jim passed through Toowoomba en route[iii]. Did he defer joining up until after his German-born grandfather died in March 1916? So many questions without answers. Although these new army recruits were experienced with Australian railway systems, they needed training in the specifics of European rolling stock before playing their part in the battles, and once in Belgium or France, to learn the routes. The Company’s war history reports on the shelling of the line in July 1918 between Ypres and Poperinghe, where Denis was stationed. It was generally thought that the Railway Operating Division’s men were “Right Out of Danger”[iv] but when the enemy knew how vital the railway was to the Allied war effort it’s hard to imagine it was entirely safe. Dad talked about the heavy weaponry being brought to bear on them with the Germans’ “Big Bertha” guns taking a line on them. The war diaries provide a surprisingly rich description of life for the members of the ABGROC. No doubt they were preserved to a degree from the craziness and unpredictability of the battlefront which impacts other war diaries. Perhaps this is the closest they came for wealth for their toil, despite the hazards of war. 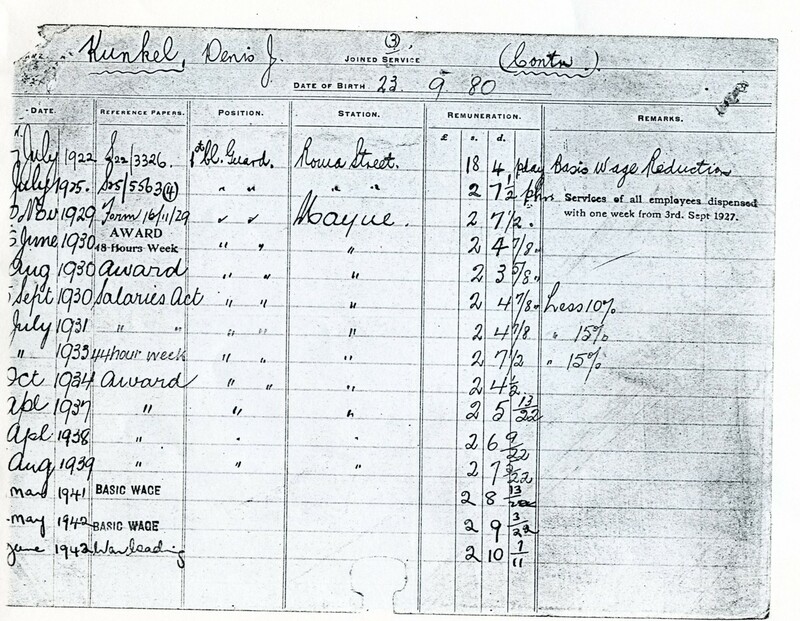 Denis’s army file shows that only days after his 38th birthday he had two weeks leave in Paris. Somehow it’s hard to imagine him strolling down the Champs Elysees. Afterwards he had little to say about this adventure other than “one city is much the same as another”. After the Armistice he was granted a further two weeks leave in England and it’s also possible that during this leave he may have visited his future wife’s family in Scotland, but this is merely family story. Railway staff card for Denis Joseph Kunkel showing wage variations based on economic conditions, changing Awards, and war time allowances. On his return to Australia in 1919, Dinny resumed his working life in the railway. He was posted at Roma Street (1919-1925) then Mayne Junction (1926-1945) and by the time he retired he was a 1st class guard. Over the years his wages fluctuated with the Depression, the 40 hour week, and the WWII effort but he earned enough to have a secure livelihood for his family. Wealth for toil = steady wages + secure position – physical danger. The workplace was a different environment then – no workplace mediation or counselling. If you got something wrong, you got fined, and every now & then if you did something innovative, you got a financial reward. In 1940 Dinny was fined £5 and loss of pay while on suspension for having “failed to keep a good look out and give due observance to the down home signal when approaching Roma Street station, thereby contributing to the engine and portion of your train passing the said down home signal in the stop position”[v]. This annotation was on his staff card but from TroveI learned that this resulted in “his” train being in a collision with the up train. Denis appealed the charge at the Railway Appeals Board and won, gaining compensation of £2/2/- (two guineas). It’s not clear whether he was also recompensed the lost fortnight’s wages or the £5 fine. Wealth for toil: if you got it right and made no mistakes. 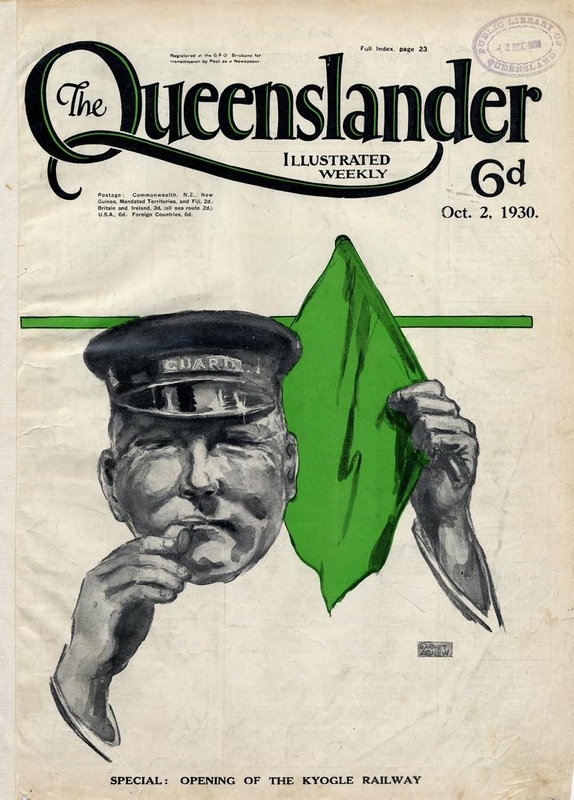 Illustrated front cover from The Queenslander October 2 1930 shows te head and hands of a railway guard. With one hand the guard holds a whistle to his lips and with the other he raises a green flag. John Oxley Library Image 702692-19301002-s001b. Copyright expired. Denis took his job seriously and a family friend remembered that you didn’t dare run late for a train on which he was the guard, because he’d just blow his whistle at the allotted time and you would be left behind. Eventually, after 45 years and 9 months employment with the railway he took a well-earned retirement. He enjoyed sitting on the back steps smoking his pipe and watching the world go by. The wealth from his toil kept him secure in his retirement thanks to his pension and his savings. However even in his retirement his occupation left its traces: his old railway whistle was one of my informal inheritances while his old guard’s cap lived at the very top of my grandparents’ wardrobe and was the home “bank” with spare cash, savings books, best jewellery etc stored in it. Obscured by the riser at the front top of the wardrobe it was “as safe as houses”. Wealth for toil indeed. If you have relatives from the Darling Downs please have a look at this picture which includes Denis and some people with a Kunkel family resemblance. I’d love to find anyone who might recognise one of the other people in the photo. [ii] http://trove.nla.gov.au/ . The Brisbane Courier, 23 February 1909 and The Brisbane Courier 28 June 1909. The Worker 3 July 1909. .
[ii] http://trove.nla.gov.au/ndp/del/printArticlePdf/19564874/3?print=n. The Brisbane Courier, 23 February 1909. [iii] The Toowoomba Chronicle, 5 November 1917. Both Denis and Jim were said to be well known in the district. [iv] No doubt a sentiment exacerbated by the large ROD acronym on the side of the engines. [v] Rule 71b, 223a, 251s, Book of Rule By Law 308.